As an Executive Director, Chirag B Virani spearheads the strategic operations at B. Virani & Co. – A private diamond cutting and polishing firm that has been in the business since the 1960s. A graduate in Mechanical Engineering from McMaster University, Chirag further went on to do his diploma in Business Administration from the University of California in Berkeley which was immediately followed by an MBA in International Business from Ryerson University. During his student life Chirag has been the recipient of numerous accolades and recognition for his outstanding performance – noteworthy being the Inaugural International Alumni Award and for Outstanding Contribution to Student Life. Being the third generation in the diamond business with exposure to the trade very early in his life, Chirag had developed a sound understanding and knowledge about the business. Thus, soon after his MBA, he joined his family business, B.Virani & Co as the Executive Director in the year 2012. Since the beginning, he has been instrumental in building the corporate hierarchy of the organization and restructuring the IT operations to efficiently facilitate every step of the manufacturing process. He also developed an inventory management and factory maintenance program that focused on all the supplies of machinery related parts as well as maintenance issues to monitor the factory efficiency and expenditure. With his credentials and professional experience, he was roped in as the Director of Strategic Planning for the Surat Diamond Association. He played a vital role in helping the organization to grow with global values through his strategic inputs that focussed on the development and evolution of the organization. 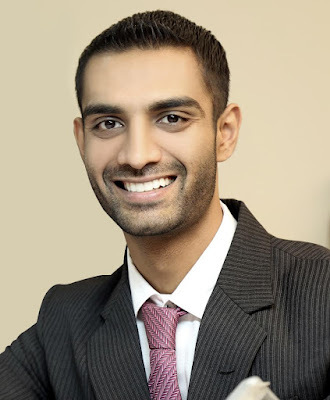 With a natural business mind, great leadership and analytical skills, Chirag has been heavily involved in bringing new ideas for improvement to the company, the latest being developing an online presence with the effective use of social media such as website and online inventory to facilitate online trade. A passionate man, he dedicates his free time to community causes around the world. He holds charity causes very close to his heart and has contributed to many social causes like helping local NGO’s through Volunteer for Peace, Vietnam, Future Hope Centre, Nairobi, Kenya, Lasting Blessing, Tanzania, Maximo Nivel, San Jose, Costa Rica to name a few.